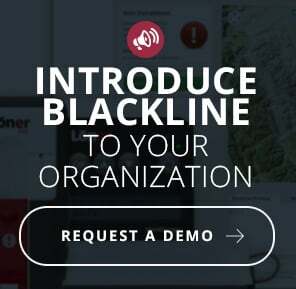 As a result of rapid growth and significant user adoption of its solutions in North America and Europe, Blackline is expanding its presence in Australia and New Zealand. Blackline is looking for passionate, self-motivated individuals driven to be highly successful professionals. As a Blackline Regional Sales Manager, you will be responsible for managing regional and national distribution partners located across Australia and New Zealand and delivering strong revenue growth. In this full-time role you will identify and create new business opportunities with your distributors and end-users to achieve all sales and profit targets. The successful candidate will be comfortable meeting with and presenting to distributors, field level end users, and the C-suite. To apply for this position, send your resume and cover letter in PDF format to careers@blacklinesafety.com. In your cover letter include a detailed account of total sales and sales growth annually for the past three years in your current or past positions. Please also describe the products and service(s) you were selling. As a result of rapid growth and significant user adoption of its solutions in North America, Blackline is doubling its sales force. Blackline is looking for passionate, self-motivated individuals driven to be highly successful professionals. As a Blackline Regional Sales Manager, you will be responsible for managing regional and national distribution partners located within your territory and delivering strong revenue growth. In this full-time role you will identify and create new business opportunities with your distributors and end-users to achieve all sales and profit targets. The successful candidate will be comfortable meeting with and presenting to distributors, field level end users, and the C-suite. As a result of rapid growth and significant user adoption of its solutions in North America, Blackline is doubling its sales force. Blackline is looking for passionate, self-motivated individuals driven to be highly successful professionals. As a Blackline Regional Sales Manager, you will be responsible for managing regional and national distribution partners located within your territory and delivering strong revenue growth. In this role you will identify and create new business opportunities with your distributors and end-users to achieve all sales and profit targets. The successful candidate will be comfortable meeting with and presenting to distributors, field level end users, and the C-suite. Blackline Safety seeks an intermediate to senior full stack developer to help build new features and functionality for our highly available, highly scalable safety monitoring platform. This is a full-time employment opportunity. The work is performed on site at our Calgary Inglewood office. We are looking for someone with a degree in Software Engineering, Computer Science or similar, strong full stack experience, familiarity with a variety of modern web technologies, and is comfortable working in an agile development environment. Come work with us in an exciting and entrepreneurial work environment. Our clients depend on Blackline Safety to monitor their safety during their work day. Make a difference to your company and our clients’ lives every day. Take advantage of the opportunity to establish yourself as a leader on our development team and to play a pivotal role in the evolution of our software products and services. You love to develop object-oriented applications on embedded processers. You enjoy the challenge of fitting big features on small platforms. You enjoy researching and applying new technologies to solve problems. You understand how things work and fit together. You have exacting standards. You find it embarrassing for someone else to find a bug you have released. You like the idea of using test driven development to ensure your code is well structured and tested. Our clients depend on Blackline Safety to monitor the well-being of their employees at work — you can help to make a difference. Come work with Blackline Safety in an exciting, fast-paced work environment. All applications will be reviewed, but only those most qualified will be contacted for an interview. Our fast-growing company is currently hiring a Customer Care Representative. Blackline Safety is a leader in products and services for worker safety monitoring and security tracking. We offer solutions that deliver safety, security, and location awareness through innovative wireless hardware and custom user interfaces. Our vision is to become the world leader of worker safety monitoring. The role of the Customer Care Representative is to be the first point of contact for all customer inquiries. The Customer Care Representative will successfully resolve a wide variety of customer care and account management scenarios for end users, distributors, dealers and Business to Business customers who use our solutions daily. 8 hour shifts covering the hours of 6 a.m. to 6 p.m.